So I’ve officially been lazy on the personal blog front for one month. I’ve been busy doing lots of other stuff: getting a job in North Carolina, working on Nudia.tv stuff particularly my awkward NuNews, launching YuBlog.org the communal blog site that’s part of Nudia.tv, learning to have a cat (Zoe), amongst other things. 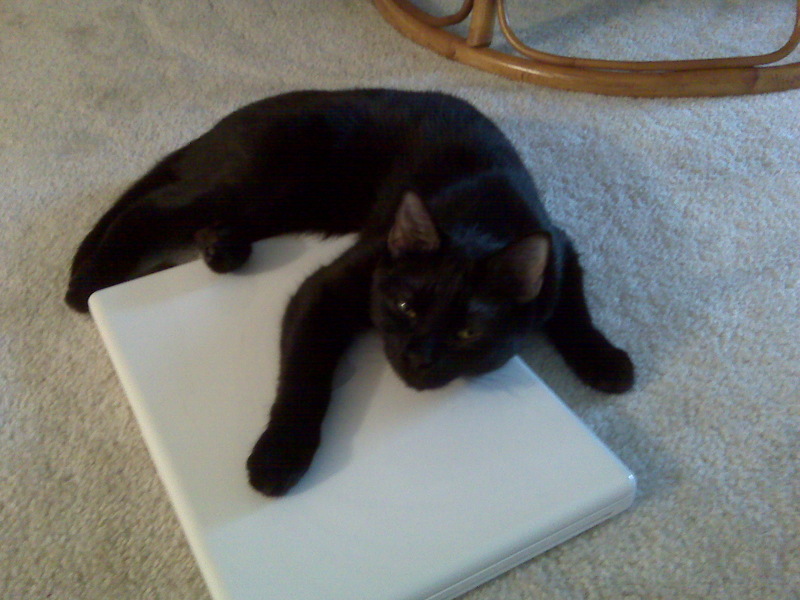 I leave you with a picture of Zoe, who is obsessed with Macbooks. This entry was posted in Zoe. Bookmark the permalink.